The holidays are a busy time of the year with visiting guests, holiday parties, and other festive activities with family. 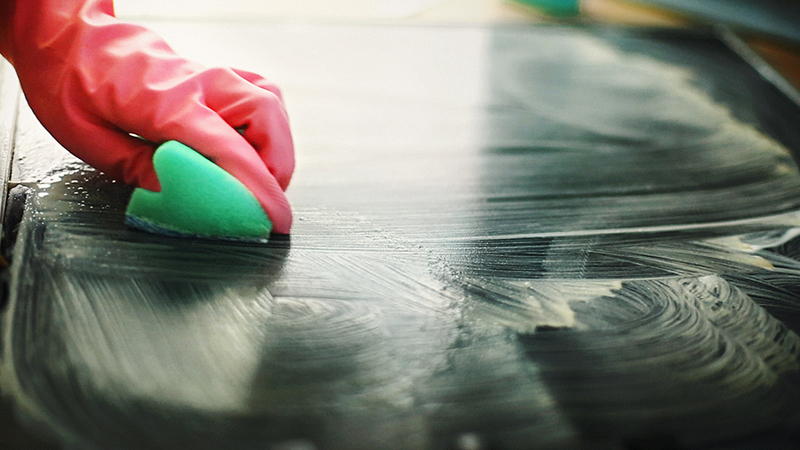 This schedule can quickly take a toll on the cleanliness of your home. We can understand that once the holidays are over, getting your home back in order may take some time, so we’ve compiled a list of the most important areas of the home that you should prioritize after the holiday rush has passed. Food is often the centre of holiday celebrations. It is amazing the amount of food we managed to squeeze into our fridges and freezers over the holidays! However, they quickly begin overflowing with leftovers or unused ingredients. Once the holidays are over, make a practice of “starting fresh.” Remove everything from the fridge and wipe down all the shelves. Reorganize everything and compost any spoiled food. This is a great opportunity to take inventory of what is in there and meal plan for the upcoming week to use up any food or leftovers and ensure nothing is wasted! When the holidays get busy, it is difficult to keep up with basic bathroom cleaning. When you’re entertaining, this room gets a lot of use by a lot of different people. With the holidays now over, schedule in time to give your bathrooms a deep clean. 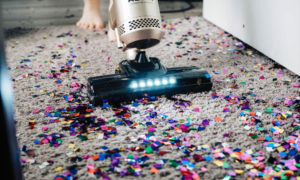 This should include all areas of the bathroom – the toilets, shower, walls, the floor, even take down the shower curtain and throw it in the wash.
As we stated above, food is a central part of most holiday celebrations. If you’ve done your fair share of cooking this season, its a good idea to give your oven a good cleaning. Get rid of any built-up grease, spills, or any stuck on food that has burned to the sides of the bottom of the oven. This task only gets harder the longer the food sits, so try to take care of quickly. settled into the fibres. A great at-home cleaning solution for common carpet stains is to mix hydrogen peroxide, plain dish soap, and water. It works well on a variety of stains – which is great if you aren’t totally sure what it is! As always, make sure to spot check the solution on a small, hidden area of your carpet to ensure there is no damage or colour loss. guest rooms. Start the laundry right away and have it running in the background while you clean the other areas of your house.